Minutes To Shopping & Dining Of Downtown Duluth. MLS#6528912. 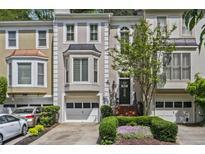 Keller Williams North Atlanta. Hoa Includes A Pool And Tennis Courts! Come Check It Out Today! MLS#6528384. Redfin Corporation. Charleston Bay - The Lower Level Includes A Bedroom And Full Bath With A Nice Covered And Screened In Porch Below The Sunroom. A Must See! MLS#6527611. Pend Realty, Llc..
St Marlo Country Club - High-End Appliances, Custom Cabinetry,Hardwood Flooring,Stone Fireplace In The Keeping Room,Private Owners Suite With Spa Bath Huge His & Hers Walk-In Closets.The Terrace Level Features Billiards Area Card-Table/Area Custom Bar,Full Bedroom And Bath Exercise/Craftrm, Lots Of Storage,Covered Porch,Wonderful Gardens,Professionally Landscaped W/Privacy All Sides,Wonderful Views Of Golf Course,Infinity Edge Pool W/Hottub & Spa MLS#8549880. Ansley Atlanta Real Estate. St Marlo Country Club - 2 More Beds Share A Jack & Jill Bath, & Unfinished Basement Is A Blank Canvas! 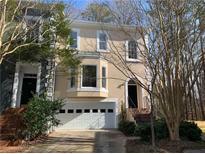 MLS#8547272. Knock Homes Llc. Berkeley Forest - Step Outside And Enjoy This Dream Entertaining Area With Huge Covered Screen In Porch And Enormous Patio Complete With Built In Fireplace And Grill! 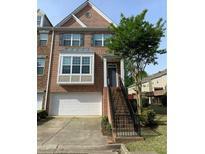 MLS#8546812. Keller Williams Realty. St Marlo Country Club - Vaulted Master Suite On Main With Granite Luxe Bath; 2nd Story Features One Ensuite Bedroom & Two Bedrooms Sharing Jack & Jill Bath Plus Walk In Attic; Terrace Level Begins W/Rec Room, Billiards Room & Exercise Room+5Th Bedroom W/No Window & Storage; New Kitchen, Paint, Roof, Hvac Units, Gleaming Refinished Hardwoods & More! Hurry! 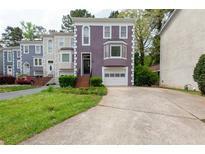 MLS#8546512. Sd - Sharon Dover & Associates. Hoa Fees Include Exterior Landscaping & Maintenance. MLS#6521680. Harry Norman Realtors. Landings At Sugarloaf - Great School District! Super Convenient Location! MLS#6520905. Harry Norman Realtors. Abbotts Bridge Place - A Half Bath On The Main Level. MLS#6519450. Mark Spain Real Estate. Home Is Part Of The Pittard Hill Point Th And Includes Water And Sewer. MLS#6514940. Opendoor Brokerage, Llc. River Plantation - Large Secondary Bedrooms W/ 2 Add'L Baths Rounds Out This Conveniently Located Home. Agents See Private Remarks MLS#8542332. Classic Homes Rlty Of Atlanta. Grovemont - End Unit. 8 Hrs Notice Required! MLS#6518920. Virtual Properties Realty.Com. Perimeter, Numerous Malls. Parks & Lake Lanier ! MLS#6518290. Turnkey Global Realty. Home Comes With A 30-Day Buyback Guarantee. Terms And Conditions Apply. MLS#6516991. Opendoor Brokerage, Llc. 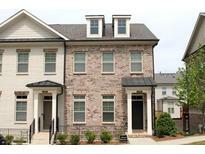 Regency At Cambridge - Very Close To I85, Malls, Schools, Hospital, And Restaurants. 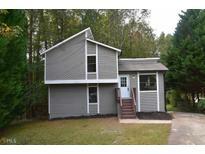 MLS#8540787. Palmerhouse Properties. Landings At Sugarloaf - Conveniently Located To The New "Revel" Development Under Construction At Infinite Energy Center Area! MLS#6514415. Harry Norman Realtors. 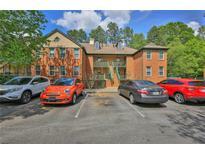 Conveniently Located Shops And Restaurants, Close To I-85. No Lease Allowed. Motivated Seller. MLS#6513702. Focus Realty. 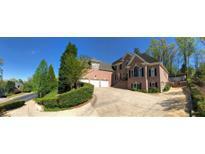 Sugarloaf Country Club - Huge Island, Stainless Steel Appliances, Upper Level Offers Playrm Or Oversized Bdr. Grab It Quickly! MLS#8533406. Keller Williams Rlty Atl. Part. 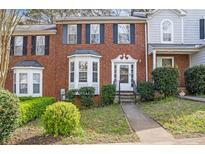 Grovemont - Well Maintained By The Seller. Swim Community. Close To Shopping. MLS#6511204. Berkshire Hathaway Homeservices Georgia Properties. 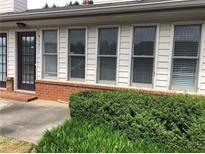 This Home Has 2 Bedrooms, 2.5 Baths, A Private Deck, And An Attached 2 Car Garage! MLS#6511498. Virtual Properties Realty.Com. Conveniently Located Minutes From Shopping & Dining Of Downtown Duluth! MLS#6509433. Mark Spain Real Estate. Sugarloaf Country Club - Unique Floor Plan, Walk To Clubhouse And Sports Center, Highly Desirable Location Within Sugarloaf. A Must See! MLS#8527042. Keller Williams Rlty Atl.Partn. Great Amenities. Just Minutes To Everything! MLS#6506664. Exp Realty, Llc..